Living room, Kitchen, toilet, Hallway and 1 Bedroom All areas to be dusted with wet or dry cloth and mopped and or vacuum cleaned. You will get our house/flat the once over to a high standard. Expect all the rooms to have a general clean to be dusted and mopped or vacuum cleaned, Then your windows washed along with the internal doors facings and skirting boards cleaned and all rubbish removed. You are going to get a general clean to start with then your windows washed inside and outside.Then your internal doors facings and skirting boards cleaned. Kitchen and bathroom steam cleaned. you can then have your carpets steam cleaned or washed. Then all rubbish removed. 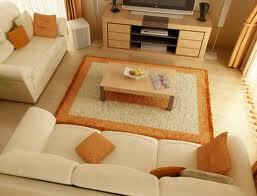 * Spring clean price of £11.00 is for 5 rooms only, Which include living room, kitchen, toilet, hallway, and 1 bedroom. Additional rooms charged at £4.00 each.